In what may be Robert Redford’s final movie appearance, we see the charm and warmth of the actor who has been one of the greats in cinema. Unfortunately, if you look at it closely, the character he is playing is anything but. 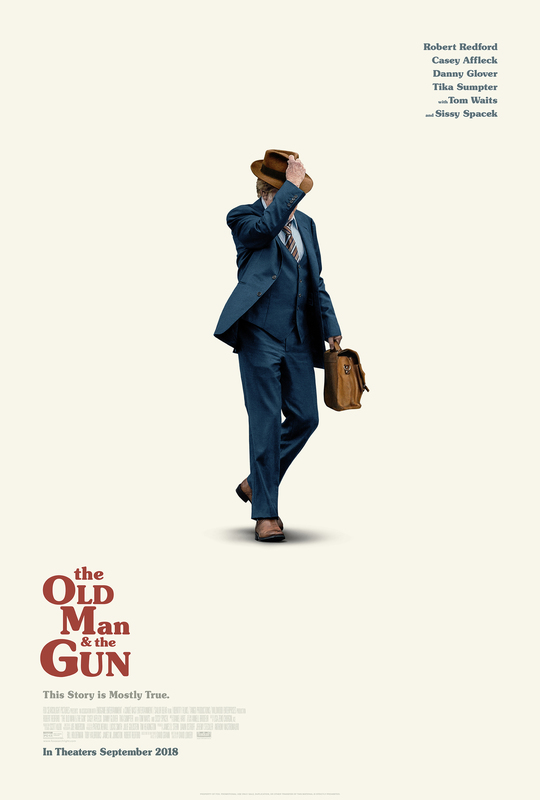 Redford is playing the real life Forrest Tucker, an old man who loved robbing banks. He would walk into the bank, politely showed the gun to the teller or manager, and quietly walk out after receiving the money. Everybody said he was a gentleman. However, he was still robbing the bank. After robbing one of his banks, Forrest met Jewel (Sissy Spacek), woman whose truck had broken down and he took a fancy to her. They spent some time together, but it does not curtail the criminal activities from Mr. Tucker. Redford is wonderful here, as is Spacek. Their relationship is one of the best parts of the movie. They are two pros and you can tell that every second they spend together. I did like the character of John Hunt, played by Casey Affleck. Hunt was the police officer who put together the clues of who Tucker was. He was able to link the robberies together and found a strange relationship between Tucker and himself. Tucker has some kind of odd connection to him once he discovered that he was searching for him. Tucker even went as far as to leave notes for Hunt. Affleck was very good here. The film dragged some and I had a harder time rooting for Tucker as he just continued to show little to no remorse for his criminal activity. Still, the film was watchable and Redford was great.